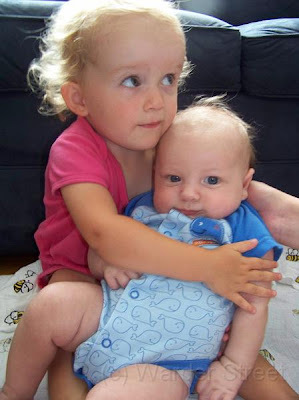 I was reviewing photos of William (feeling nostalgic already for when he was tiny tiny) and realized that I never really posted about William meeting his cousins Kaylee and Scarlett. 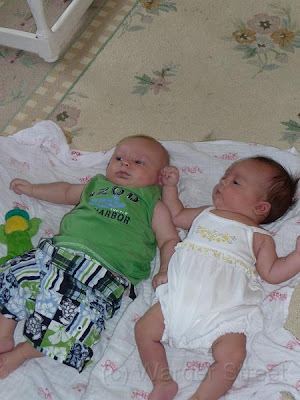 Kaylee is only about two weeks older than William. She is so cute! Technically she's William's second cousin (she's my cousin). You can see them both here. Note that Kaylee is already asserting herself by bopping William the face!! She only looks dainty. As I mentioned in a previous post, on the way back from the Cape we stopped at the May Family home to celebrate Scarlett's second birthday. They were also amazing to welcome us to stay with them that night even though they had to have been exhausted from throwing the party! Thanks Erin, Derrick, and Scarlett! 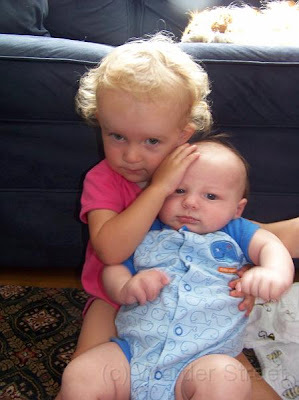 Scarlett took holding William's head up very seriously. William is so lucky to have such great cousins! He can't wait to meet Brielle and soon the newest May addition! 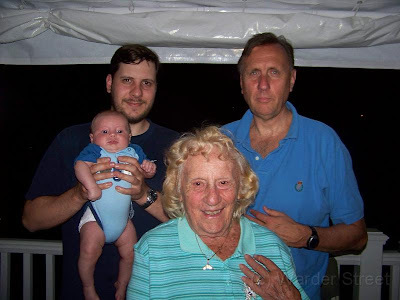 Not at all cousin related but I love this picture of four generations of Chesniks!